It was a time filled with arguments, discourse and debates about a great many things. They argued about what was right. They debated what was real. They even disagreed about what a noun referred to. Despite this, everyone agreed that ancient Greece was far too hot and that someone should do something about it. Herodotus of Halicarnassus agreed with the masses but could do nothing about it as he was too busy inventing history. He sat at his table with reed in hand trying to keep the sweat that collected in his considerable eyebrows from dripping onto the papyrus in front of him. Being the Father of History was a more thankless task than he would have guessed when he first invented it. While the title had its perks, it predominantly involved writing a lot of history and he rarely found time to get away from his labor and enjoy the moniker. Even now his wrist ached as he reached for the block of ink. He set the reed down and massaged the cramp out with a sigh. It was the most common pain for the historian but not the only one. There was a clatter outside his room and he stood to stretch the ache out of his back and see what it was. He was almost to the door when the man burst in dripping with sweat and gasping for air. “Pheidippides!” Herodotus recognized the man as a messenger for the Athenian army. He had spoken to him before, but then the man had been less sweaty and rushed. Pheidippides panted heavily and leaned against the wall while trying to catch his breath. Herodotus pulled a chair from the wall and directed the man to sit. It was a few moments before the man was able to speak in any thing short of a wheeze and the first thing Herodotus heard was his own name. Herodotus stuck his head out the door and called for some water. Soon a pitcher was brought and he let the messenger drink heavily from it. “Herodotus,” Pheidippides said with the water falling from his lips. Pheidippides nodded with a smile and leaned back in the chair. He let out a great breath as the Father of History read his notes aloud. “That’s it for now. I’ll fill in the details later. Thank you, again, Pheidippides. Now I’m sure you’re very tired and would like to rest.” Herodotus shook the man’s hand and helped him stand. He ushered him to the door. “What’s a zero?” Pheidippides asked. “I’ll miss you but I still don’t think people will care,” Herodotus said and tried to lead the young man once more to the door. But he resisted. Herodotus smiled back. “What would you say? “Attic,” Herodotus repeated the word as if it was echoing through the ages. “Ooh, I like that. What does it mean? “So it’s really death then?” Pheidippides asked. “No, I get it.” Pheidippides stood and looked at the Father of History with eyes full of sadness. Or sweat. He couldn’t really tell. It was too hot today. 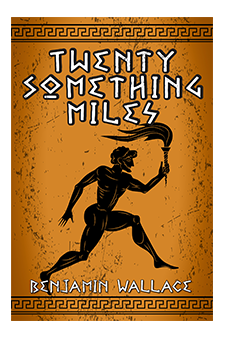 And despite Herodotus sadness, he smiled at the fallen young man and picked up his reed and he began to write making it official that Pheidippides was the first person in all of recorded history to make a big deal out of running twenty something miles. If you wish to inform me that Herodotus was not even born at the time of the Battle of Marathon, don’t even bother. I already know that. 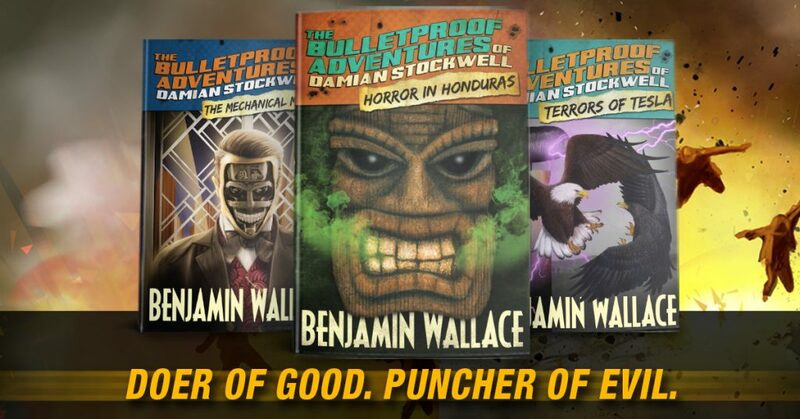 Explore more history in The Bulletproof Adventures of Damian Stockwell. Dam often comes face-to-face with historical figures as he travels the world on his quest to punch evil in the face. 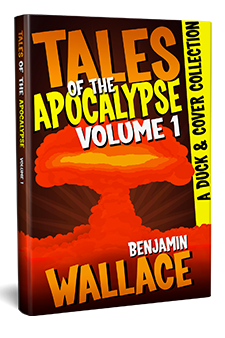 Get 13 FREE post-apocalyptic tales from the Duck & Cover Adventures. Enter your email to get your FREE eBook delivered to your inbox. You'll also be the first to know about new book releases (you can unsubscribe at any time).